The Indian government recently announced Phase I of the oft delayed National Electric Mobility Mission Plan (NEMMP) 2020, titled FAME. FAME stands for Faster Adoption and Manufacturing of Hybrid and Electric vehicles in India. Under FAME, electric and hybrid cars stand to gain about 1.38 lakh rupees as subsidies meant to encourage their manufacture, and sale in India. 795 crore rupees have been earmarked for the FAME project, of which 500 crores will be spent on subsidies over two fiscal years – 2015-16 and 2016-17. Now, this project will spawn a Swift that can deliver a mileage of 48.2 Kmpl. Yes, you’re reading it right. 48.2 Kmpl. 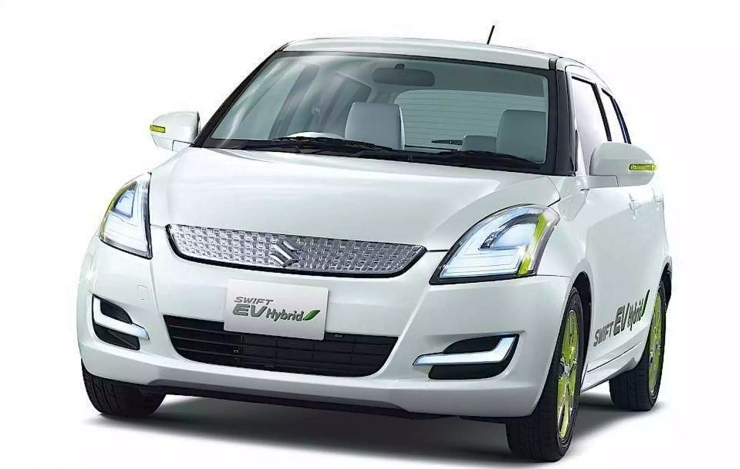 The Maruti Suzuki Swift Range Extender Hybrid was recently shown at a Motor Show in Delhi. Maruti Suzuki is said to be ready with the production version of this car, which could be launched here in the next few months. 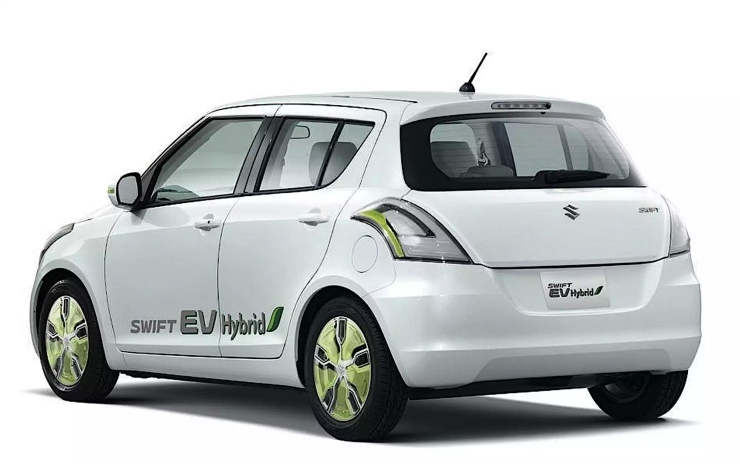 The Swift Range Extender Hybrid will be the country’s most fuel efficient car, outdoing even the BMW i8 Hybrid Sportscar, which is currently India’s most fuel efficient car with a rated mileage of 47.45 Kmpl. 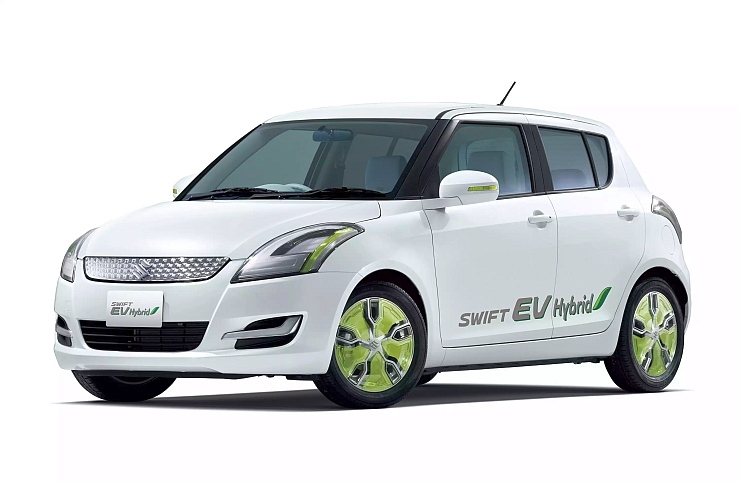 To do this, the Swift Hybrid will use a 660cc, 3 cylinder petrol engine that will either operate in tandem with an electric motor (Parallel Hybrid Mode), or will perform the role of a generator (Series Hybrid Mode), charging the lithium ion battery stack to juice the electric motor. The 73 Bhp electric motor will be capable of operating independently too, delivering a 25 kilometer range. The lithium ion battery stack that powers this motor will take about 90 minutes to go from empty to full, when connected to a 200V household electric socket. 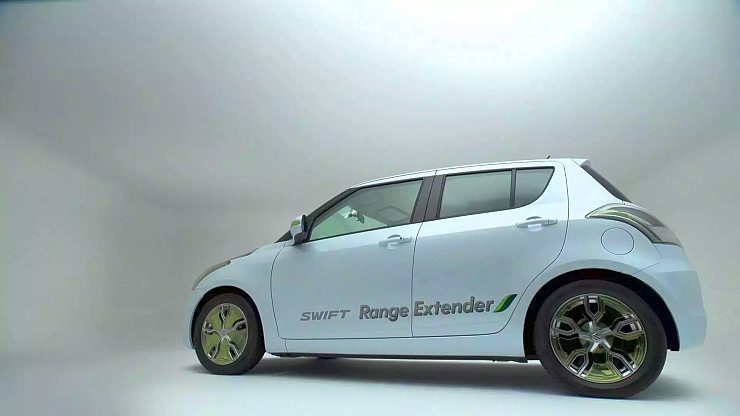 The Swift Hybrid weighs a considerable 1,600 kilograms, more than 600 kilograms heavier than its non-hybrid, petrol powered sibling. The hybrid variant gains an automatic transmission, an idle-stop mechanism, disc brakes on all four wheels, new instrumentation and an infotainment cluster on the dashboard. The boot space is compromised, with the battery stacking using up a portion of the luggage area. In terms of pricing, the Swift Range Extender Hybrid is likely to be more expensive than the diesel powered variants of the hatchback. 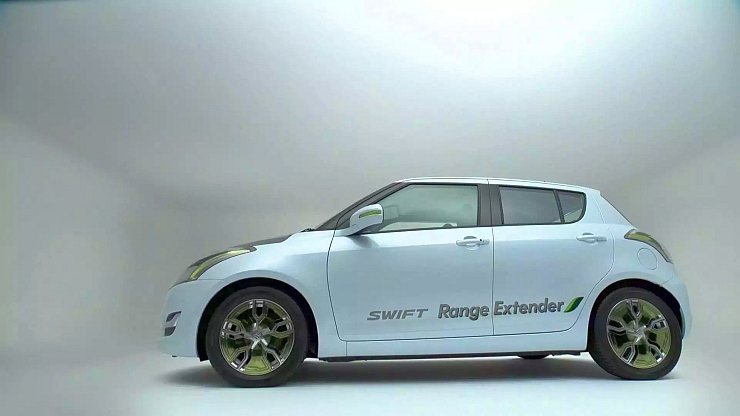 However, the price range of the Swift Hybrid remains unknown for now. « Mahindra To Gun For The Renault Duster With The Ssangyong Korando C SUV?